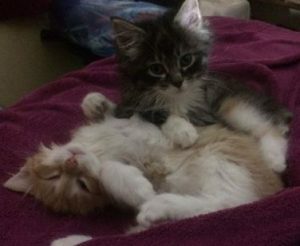 Failed Feral Fosters – Sometimes You Have to Keep One! I’m not sure if you’ve noticed yet from my previous blogs, but I talk a lot about cats.I love dogs and grew up with a family dog. I have owned a leopard gecko called Kratos, and two hamsters called Layla and Juno. You’d be hard pressed to find me an animal I didn’t like, however at this point in my life; I cannot have my 10 acres of farmland to have my proper zoo! Cats currently dominate my home life. I started fostering cats in 2014, after I lost my 1.5-year-old cat, Okami to FIP (pictured above). I was devastated by his untimely death and wanted another cat but couldn’t bring myself to get another kitten. Instead, I decided to look into fostering. One of the rescues we worked with during a feral cat/spay neuter clinic had a semi-feral kitten who needed some socializing before he could go into their adoption program. I remember when I brought him home, I kitten-proofed a room so he’d have a couple of spots to hide in but could never be entirely out of my reach. I kept him separate from Bagheera until he adjusted to his new living situation. 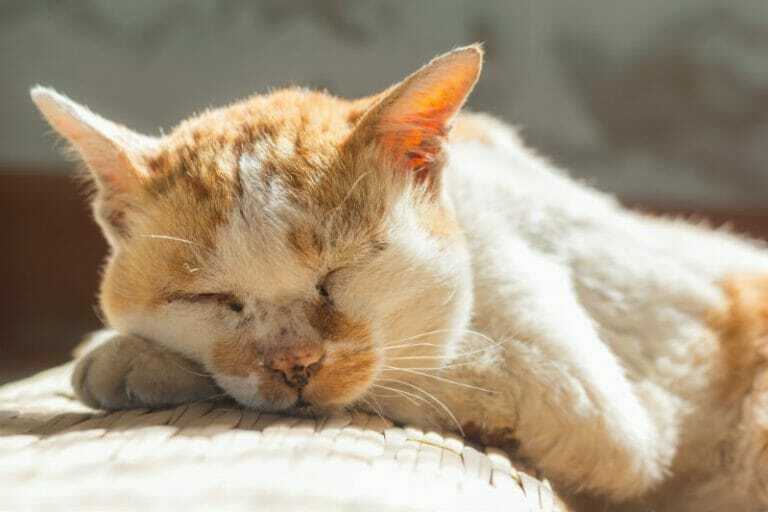 Many feral cats come from colonies where they seek out other cats for company, but when socializing a feral, it is always best to keep them separate from other cats until they have gotten used to human companionship. Introduce them too early, and they’ll seek out your kitty instead of you for company! Webber was the beginning of a long stream of feral to semi-feral kittens that I had the privilege of fostering. I learned a lot from him. 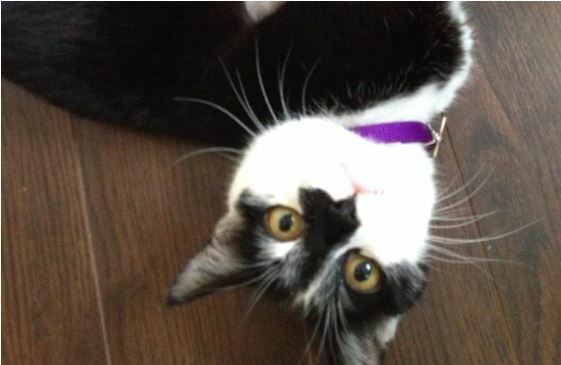 Did you know that using a feather teaser cat toy is a great way to get a scared kitten to engage with you? I did not! It took some suggestions from the local rescues and some research to find the best combination for him. With Webber, he preferred toys over food for motivation to cuddle! I started with just using the cat toy to slowly coax him out of his hiding spot. Then with time, we graduated to using the cat toy to pet his back, the first time I tried this, he leaped into the air and ran back into his hiding spot! With time, I was able to get him closer and closer to me using his cat toy and finally pet him. By the end of two weeks, he had evolved into a cuddle bug! I was very sad to see him go when the time came, but it wasn’t long until there was another little kitten who needed a foster home. After Webber, there were several others, all with their own quirks, but some things I learned worked well with all of them. I found that it was best to meal feed wet food until it was time to introduce them to the rest of the household. Meal feeding the tasty stuff (they always had some kibble available to them as I did work during the day) forced interaction with me. I would have the dish placed close to their hiding spot, and I sat on the floor close by. I never moved during this time. I would talk to them and get them used to having a person around while they ate. Every day I would inch a little bit closer to them while they ate, many times they would back away, but once they realized I was not reaching out to grab them, they would return and continue their meal. Food was an excellent motivator for company! In 2015, I met Twilight Sparkle and her two siblings Flynn Rider and Rarity. 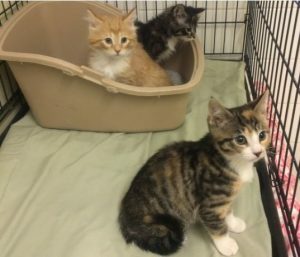 The three of them were found in an awful situation along with their mom. Mom was very ill and unfortunately did not make it, so I got a call. Working at a veterinary clinic, the rescue was wondering if I’d be willing to take in some very young feral kittens that would need bottle feeding. I was hesitant at first but knew with my support system at work; I would be able to care for them. So began the beginning of my first ever failed fostering experience. I took them home, after stocking up of KMR and kitten canned food along with some syringes and a bottle. I had set up an X-Large dog crate at home for them as they were too small to have full reign of an entire bedroom! 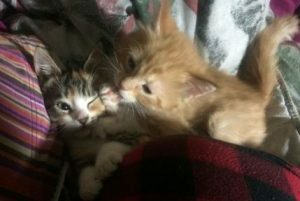 Due to how young these kittens were, I did not have to worry so much about socialization. They loved being handled. In fact, Rarity would cry whenever she was put down! It was very different from my initial experiences fostering feral kittens. With advice from the rescues and my coworkers at Sunrise Animal Hospital, I learned how to bottle feed them, stimulate them to eliminate and keep them clean. 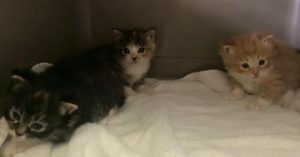 They were estimated to be just shy of three weeks old based on their size and inability to use the litter on their own. Thankfully they were quick learners! Within three days they had started going to the litter on their own! Eating, however, was a different problem. I kept some watered down canned kitten food available to them, but they needed syringe feedings of KMR every 4-6 hours or so. 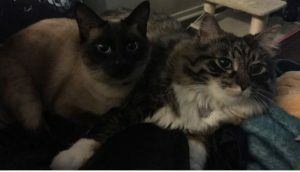 I would feed them before work, on my lunch break, right after work, before bedtime and sometimes I’d wake up too hungry meowing very very early in the morning! Being a foster mom to orphan kittens was definitely hard work! With time they began to get more adventurous and eat more of the canned kitten food. After 2-3 weeks of having them, I gradually weaned them off the bottle feeding. One of the kittens, the smallest, always seem to be 1 step behind her siblings. She took the longest to gain the weight, and I had to feed her separately at times, as her siblings would have everything gobbled up before she even made it to the bowl! In case you hadn’t guessed it already, this would be the kitten I kept! Twilight Sparkle, pictured above with her brother Flynn Rider, was the most docile of her siblings. She was still a playful kitten but always seemed to get into mishaps! Once, she decided to pick a fight with the heater! She ran into it, hissed at it (since it was a bit warm), then ran right back into it again hissing and spitting. She was the first kitten I’d encountered to run face first into danger and not learn from it! When they were old enough to be adopted, I returned them to the rescue to be placed in the adoption program. I’d actually kept them until they were 12 weeks of age due to how tiny Twilight Sparkle was instead of the usual 8 weeks of age. Saying goodbye to the three of them that day was extremely hard! I’ve always loved every one of my foster kittens, but I’ve never become so attached! I said my goodbyes and had them all settled in (as you can see above). I asked the rescue to contact me if no one adopted them after two weeks, and I would take whoever was left. At this point, I wanted to keep all three of them, but knew if I did I would have to give up fostering altogether! Time passed, Rarity went to a home the next day and Flynn Rider was kenneled with Twilight Sparkle for two weeks. I called the rescue and asked if I could keep them both and was told they both had pending adoptions! I was excited for them but sad; they told me to call back the next day. When I did, Twilight Sparkle’s adoption had fallen through, but Flynn Rider was gone. My decision had been made for me; Twilight Sparkle was coming home. And that was how I had my first ever, failed foster. I have since fostered many kittens since Twilight Sparkle but thankfully haven’t failed to return any since! Thankfully, Twilight Sparkle grew into a big kitty! It just took a little longer! Pictured above is Twilight Sparkle with her sister (no-relation) Sunset Shimmer. The two of them get along quite well, and tag-teamed helping me with my kitten fosters!